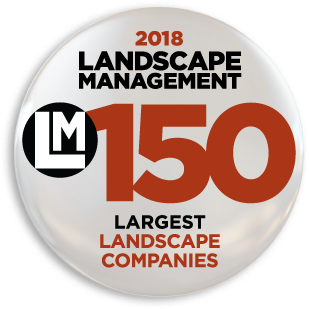 For a green company like Level Green Landscaping, a client like Southern Maryland Electric Cooperative is a perfect fit — even if it means bumping their heads a few times. More than 23,000 solar panels dot the electric cooperative’s vast solar field. They’re tricky for landscaping crews to navigate as they mow and trim weeds. So they wear hard hats. It’s just one of the details on Level Green’s checklist as they tend to two important properties for one of Maryland’s greenest companies. 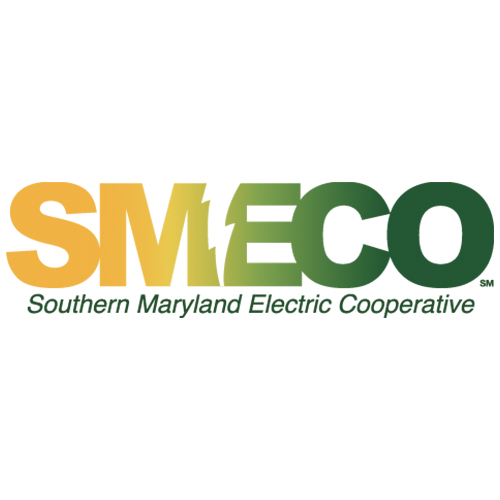 SMECO is a customer-owned electric cooperative providing electricity to more than 163,000 services in southern Prince George’s County, and in Charles County, St. Mary’s County, and all but the northeast portion of Calvert County. Unlike many utility companies, it’s non-profit, owned by its customer members. The electric cooperative operates a solar farm on 33 acres in Hughesville to convert sunlight into energy. SMECO uses some of the solar energy to supply its engineering and operations center, but most of the power is delivered to the grid. Level Green has maintained the solar field since 2014, says Brett Hardy, the Level Green account manager who handles the property on Route 5 in Hughesville. More than 23,000 panels are arranged in double rows with 8 to 12 feet in between. Trimming the weeds that sprout around and underneath the panels is a challenge. “You have to wear a hard hat, because you bump your head on them several times a day,” Hardy says. Crews, who visit the field twice a month, skillfully navigate around the rows of panels with an eight-foot batwing mower. They leave the grass that grows underneath the panels to help prevent erosion. Even though the public doesn’t visit the solar field, it’s visible from the road, Hardy says, so the company wants it kept neat and clean. Crews apply two turf treatments a year to keep the weeds at bay. Level Green also maintains the landscaping at the electric cooperative’s regional office on Hollywood Road in Leonardtown. This property has a more traditional maintenance contract, Hardy says, with mowing, trimming, mulch, flowers, spring and fall cleanup. Crews visit every seven to 10 days and Hardy stops by weekly for quality inspections and to check in. Do the flower beds need extra attention? Are weeds under control? Is there damage from a recent storm? Level Green crews often do their work on properties early, before customers and employees arrive in the morning. “Here, employees start as early as we do in the morning,” Hardy says, so crews show up after 4:30 p.m. when employees have left for the day. There’s lots of parking on site and crews want to avoid damaging any of the many parked cars. This is a busy property, Hardy says, with lots of customers visiting to pay their bills and conduct other businesses. Crews install seasonal flowers twice a year in beds flanking the entrance — colorful vinca in summer and eye-catching violas in the fall. “They want lots of pops of color, not just one color,” Hardy says, so he chooses a variety of hues. Beds have to be free of weeds, and spring and fall clean-up always includes a fresh topping of rich brown mulch. Level Green Landscaping prides itself on environmentally friendly practices, from recycling green waste to using electric equipment to spraying brine to combat snow and ice. 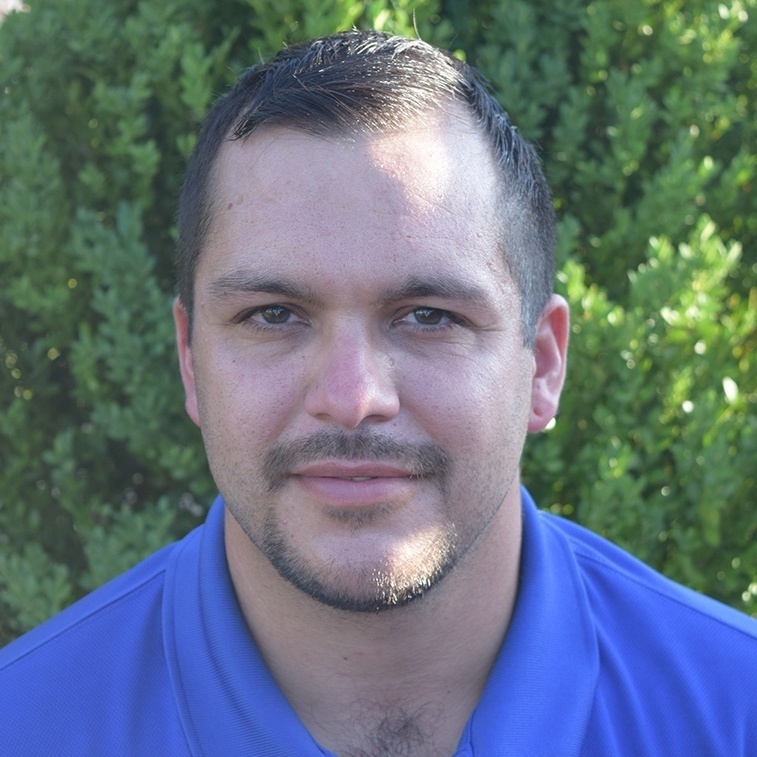 So it makes sense to work with a green company like Southern Maryland Electric, says David Keffer, branch manager at Level Green. 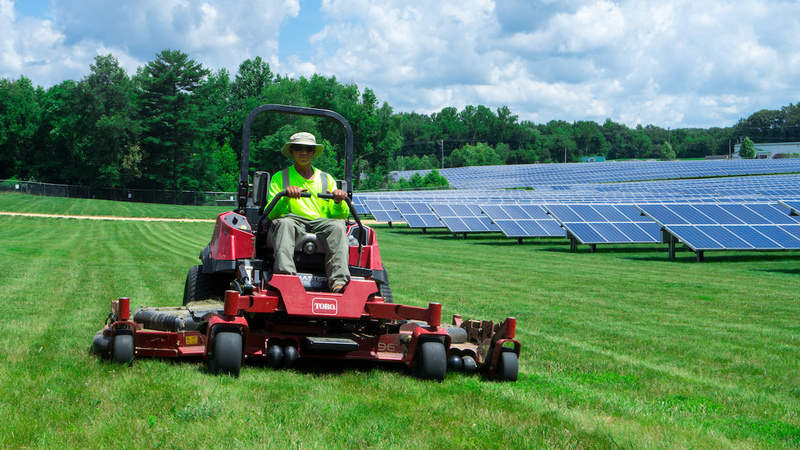 Maintaining a solar field isn’t your typical landscaping maintenance job. At Level Green Landscaping, we love a good challenge. And if your company shares our commitment to caring for the environment, all the better. If you’re not already a Level Green Landscaping client, we’d love to add you to our growing list of happy customers. Our focus is on commercial properties like offices, mixed-use sites, HOAs, municipalities and institutions in Maryland, Washington DC and parts of Virginia. You can also request a free consultation online to meet with us one-on-one.